A freelance marketplace (or outsourcing marketplace) is a website that brings together buyers and sellers of freelance services, with a special focus on the services that can be offered via the Internet. In these platforms, both buyers and sellers must create a profile. Service providers provide a description of the portfolio of services they offer, links to projects, rates, availability, and other details relevant to the supplier. Buyers of services include job type specifications they need to hire for. Buyers and sellers can contact services and can rate and write recommendations (positive or negative). The services offered by online freelance markets may include web design, digital marketing, graphic design and more. There are many sites that hire international freelancers, although the majority of them pay via Paypal which may not be viable for freelancers from some countries. However, there are still scores of other sites offering alternative payment methods designed to alleviate this common hurdle among international freelancers. The alternative payment options include payment through Western Union, Check, Bank transfers, Payoneer, Moneybookers, Payza, among others. The websites accepting international writers or freelancers include Clickworker, Great content, iWriter and more. There are a number of writing and non-writing companies that pay freelancers using Moneybookers or Skrill. These include Greatcontent, and Mobileworks, Gengo (translation work). There are a number of websites that pay for photos either as upfront payments or residual income (per page views or Adsense sharing). These include imagebrief, (high pay), redgage (residual), paidpictures (pays via Paypal), triond (Paypal, western union), istockphoto, illustratedstock, shutterstock. Can I place info links ads on my blog or website that also display Google Adsense ads without being penalized by Google? Yes, Google Adsense allows webmasters and bloggers to display Infolinks text-based ads alongside Adsense ads, just as would with Chitika. 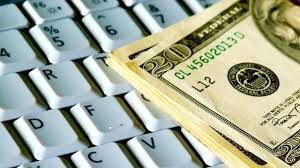 There are many factors that you should take into account to determine the legitimacy of paid to write websites or any paid freelance opportunity offered online. From my experience, In some instances, reading a couple of reviews, bad or good may not reveal the actual truth about a paid to write the site. Most reputable companies usually take the time to straighten up the issues at least on some of the most popular forums or social networking platforms. General positive signs include verifiable news items appearing in major newspapers or television networks. To some extent, quality of the website, details on the About us pages (legitimate companies have proper addresses). Legitimate paid to write sites also show pictures of their staff either on their own website or on social networking sites (this can be very reassuring). For more information visit https://budgetandthebees.com/how-beginners-make-money-online/. The internet is a wonderful place to; find solutions to different problems, to get entertained and the best part, to make money. Opportunities to earn on the internet are always presenting themselves and those who grab on to them first, reap the most benefits. When it comes to making money online, there are no limitations. Like it is the case with offline businesses, all you need to do is grab some space and set up shop. 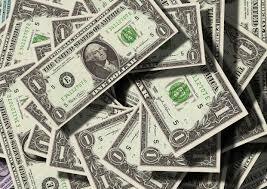 You can make money in your own creative ways or through the various existing methods. If you want to swim with the big fish, consider setting up a website. Having your own website allows you more freedom to run your own business and also earns you more money. Nowadays, you can set up a website in just a a few steps. There are many tutorials on creating and hosting a website. Anyone with basic computer knowledge can easily create a website and run it without much assistance from outside. From your website, you can earn money through advertisement or sell products and services to visitors. The traffic you drive to your website will determine how much you earn from both advertising and sales. You can use existing methods to drove more traffic or come up with your own. Those who want to make some quick cash can still make it on the internet. There are different ways you can make money online without having to invest anything. For instance, if you are the creative type, you can create videos and post them on free platforms such as YouTube. You can also make videos on a subject that you are good at and share this wisdom with the world. If you get enough following, it’ll only be a matter of time before money starts rolling in. There are also people making money as writers on the internet. Authors can easily sell electronic books on different platforms and make a living off their skills. There are websites that allow writers to pick tasks and make some money from what they love doing. Writing articles for these companies will ensure you get a steady flow of income and give you the freedom we are all looking for in life. Unlike offline jobs, the internet takes less physical effort and allows you to work from anywhere at any time. If you need more time with your family, then the internet is the place for you. If you are looking for the best ways to make money online, then you’ll first need to understand how the internet works. For more information on making money online, check out this post. It isn’t uncommon for hosting companies to develop attractive web hosting packages in hopes for attracting individuals to sign up. However, not all web hosting companies are reliable. Therefore, if you don’t perform enough research, you may end up for the wrong web host. 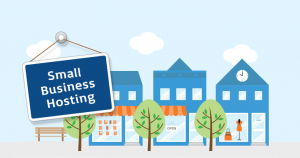 It’s critical that you spend enough time conducting research if you want to secure an optimal web hosting plan for small business. There is a myriad of factors to take into consideration when making your selection. One of the first factors to take into consideration if the hosting company’s uptime. Under most circumstances, you’ll see hosting companies promising an offer of 99.9% uptime. However, their uptime may fall lower during particular situations. It’s possible to discover what the company’s uptime guarantee is by reading customer reviews on web hosting forums or blogs. It’s common for individuals to post the uptime score on their blogs showing their server’s uptime once they’ve used their hosting for a particular period. The next factor that’s essential for checking for is customer support availability. If you encounter issues with your hosting plan, it’s critical that you have access to customer support that’s available 24/7. That way, it’s possible to resolve or fix your problems if they occur during non-business hours. Look for customer support options including live chat, telephone, and email. If you can’t upgrade, then this web hosting company may not be the right fit for your small business. Look for the potential to upgrade your web hosting by seeking out companies that will allow you to choose plans differing in bandwidth features and disk space. 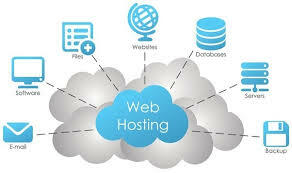 It would also benefit you if the web hosting company offer reseller and dedicated hosting plans. If your online business experiences an expansion, it’s possible for you to upgrade to a better web hosting plan seamlessly. In doing so, you’ll have access to more resources without the need for relocating your website to a different host. 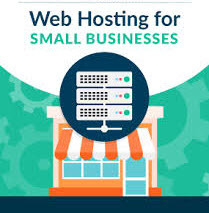 One of the last things you should look for in a web hosting for small business is one that will allow for hosting multiple domains. Under most circumstances, you’ll find hosting packages that will allow for up to at least twenty-five domain hosts. However, it’s vital that you check. Some hosting companies don’t list how many you can host, so be sure to ask. If the representative says there’s only one, then this isn’t the right hosting company for your small business. Thank you for visiting our directory, the Eglobal Library. Here you will find an extensive selection of various topics and subject matter. Some of what we will be covering may be common for some readers, but entirely new for others. If you are patient, you will discover that at some point, subjects that are right up your alley will be included. We intend to begin loading features soon, so please stop by frequently to see what’s up.